The death of a family member, a friend or an animal will always be a distressing time, whatever the circumstances. At this very difficult time certain practical arrangements need to be made and emotions can be very hard to manage if you have a child with special needs. 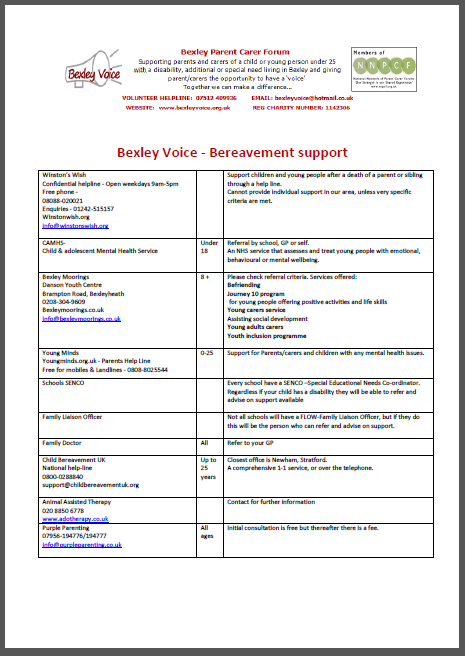 Please click the picture below to download our Bexley Guide information sheet on bereavement support for children with special needs and disabilities.